Web Conferencing may be used as online collaborative services including Audio & Video Conferencing. You can enjoy the real time communication. You can have the benefit of web conferencing in few clicks. It helps you to save time and money. It facilitates you to enhance productivity and efficiency for your business. You can perform ample variety of communication every day. Our mission: To enable rich, high quality, RTC applications to be developed for the browser, mobile platforms, and IoT devices, and allow them all to communicate via a common set of protocols. 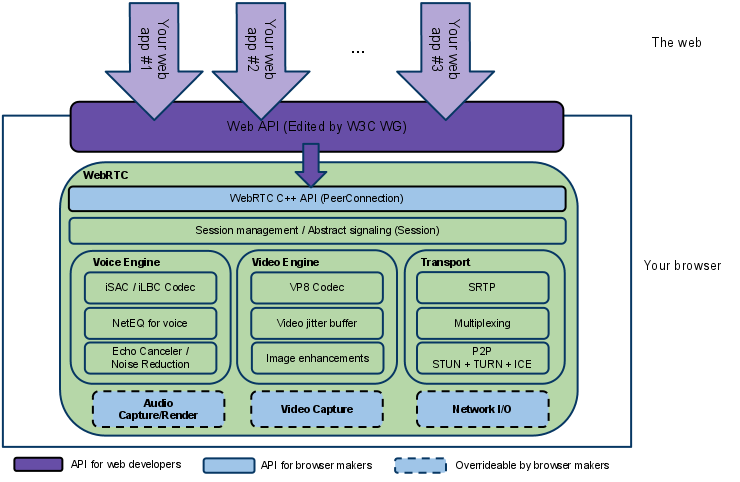 WebRTC permit web browser to access camera and microphone to capture media. WebRTC is supported in the following browsers.